“That’s my excuse for everything – I’m old, don’t mind me,” says Kylie Chan, internationally published novelist and self-confessed computer geek. 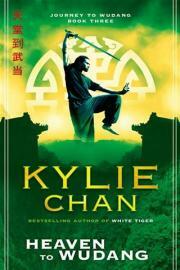 It seems an unlikely self-description for the successful author of two trilogies set around ancient gods living in modern Hong Kong, but Kylie is a normal mum who spends most of her time in front of a computer when she isn’t driving her family or friends around. At times, the single mother has had to take two jobs to get by, but Kylie is now beginning to earn enough to live solely on the income from her writing. She married a Hong Kong national in a traditional Chinese ceremony and spent 10 years living in Hong Kong running a successful IT business before moving back to Brisbane with her two children. Kylie values self-reliance in her own life. “I just do my best to care for my family without looking up to anybody,” she said. Her readers are nearly as important as her family. “I owe a duty to the fans who’ve bought my books to provide them with a great story that’s worth the money they spend on it. [Writing and family] are my life, really,” she said. Kylie is happy with the way her life has unfolded. Focus and purpose have led to a successful writing career. “I wouldn’t swap a day of any of it for a more comfortable existence,” she said. 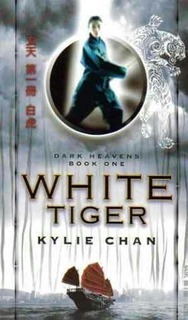 Published under Harper Collins’ Voyager imprint in the United Kingdom, the United States and Australia, the Dark Heavens and Journey to Wudang trilogies are available in all good bookstores.